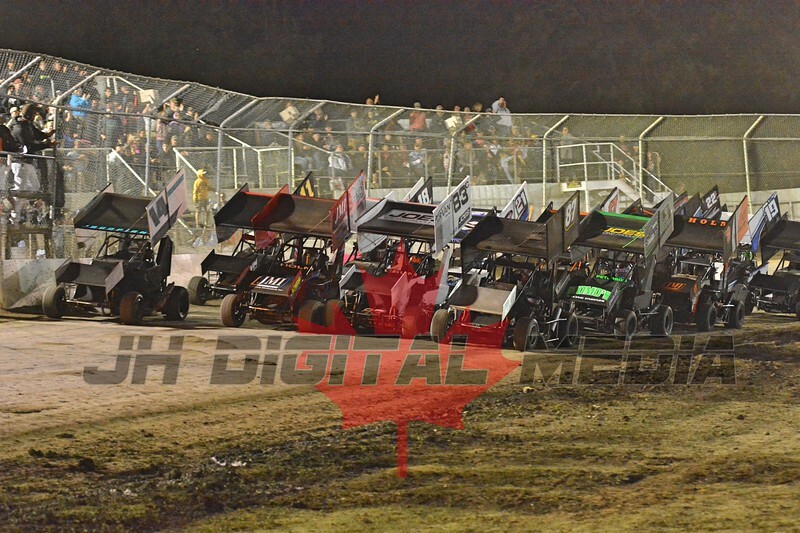 Everson, WA - After a week off, Deming Speedway resumed its fast family fun on Friday night. Racing action was courtesy Les Schwab Tire Centers and Texmo Buildings, with Jared Peterson, Derek Holmwood, Tyson Lemley and Austin Held winning the mains. Circumstances did not allow the Speedmart Hoosier 600 Open division to complete all 25 laps of their main. Jared Peterson led all completed laps and was declared the winner, with Kyle Mitchell and Derek Torkelson completing the podium. Jeff Little was hard charger, gaining 12 spots. In a recurring theme for the night, Derek Holmwood had an easy go of things in winning the main for the Shots 2 Go Espresso wingless 1200 class. Holmwood parlayed his pole position starting spot into a dominating 25 lap performance, enjoying a full straightaway lead for most of the race. Nate Vaughn was second and Frosty Metcalfe was third. Clennon Holloway was hard charger, advancing from 13th to 5th. It was an easy wire to wire win in the Mytrafficman.NET 600 Restricted class for Tyson Lemley. Despite multiple cautions and red flags, Lemley led every lap while never having his lead challenged. Blaine Granberg and Dakota Drake spent most of the race nose to tail for second place with Granberg taking the honors at the final flag. Sean Ferguson was hard charger in his Deming Speedway debut, gaining ten spots. 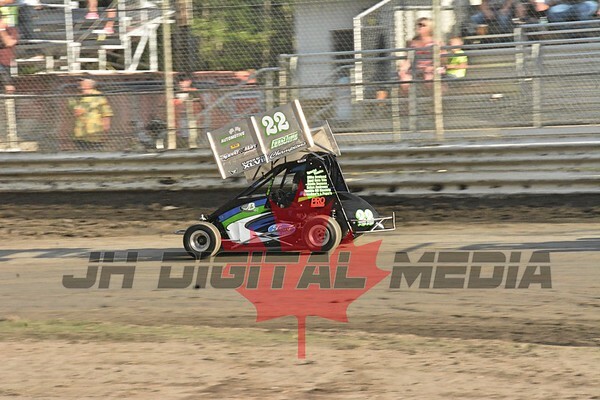 Austin Held raced to his first career main event win in the Kasey Kahne Junior Sprints. Held never had a car within more than 3 lengths of him in clean air as he took the win. Mitchell Helsel was second while Jesson Jacobson took third. Peyton Drake was the hard charger, gaining five spots.